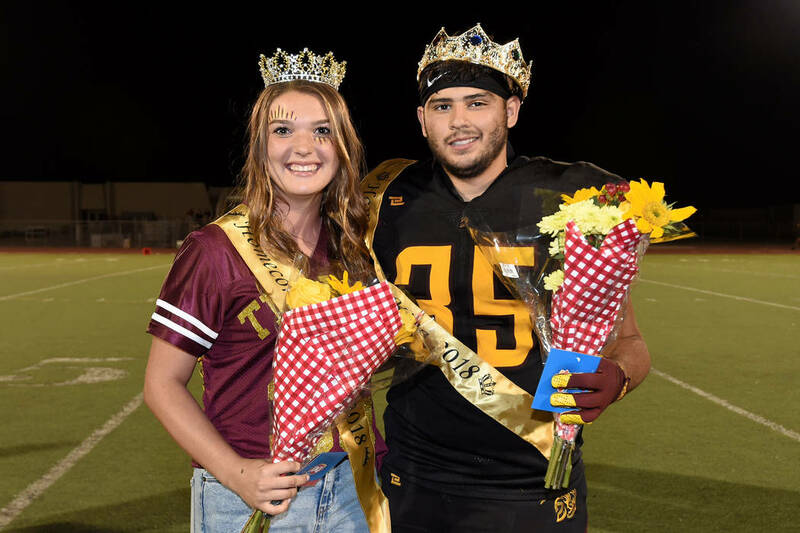 Seniors Nico Velazquez and Halie Souza were crowned Pahrump Valley High School’s homecoming king and queen Aug. 31 during halftime of the Trojans’ football game against Sunrise Mountain. 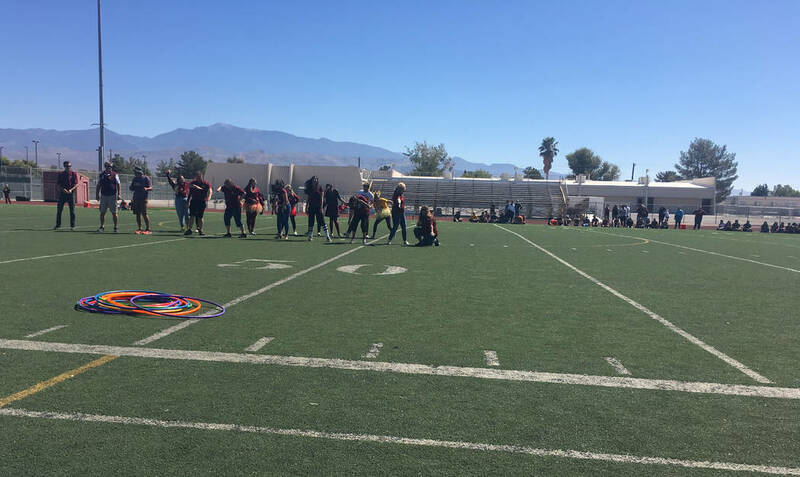 Jennifer Ehrheart/Special to the Pahrump Valley Times Pahrump Valley High School held a homecoming assembly at the football field Aug. 31 before the big game that night against Sunrise Mountain. 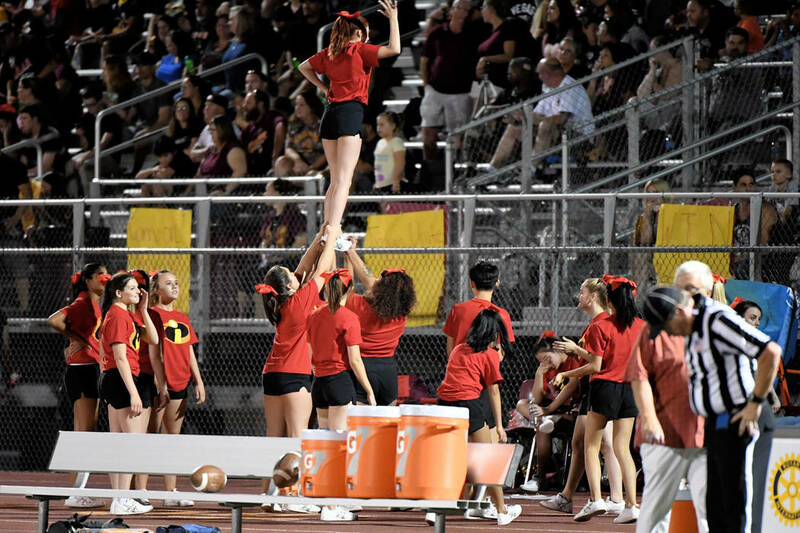 Peter Davis/Special to the Pahrump Valley Times The Pahrump Valley cheer team worked to keep the homecoming crowd in the game as the Trojans rolled to an easy 42-14 win. Peter Davis/Special to the Pahrump Valley Times Homecoming queen Halie Souza and homecoming king Nico Velazquez were crowned at halftime of Pahrump Valley's 42-14 win over Sunrise Mountain on Friday night. Velazquez took time out from rushing for 109 yards and two touchdowns during the game for the brief ceremony, which had a familiar feel to it. Velazquez and Souza have been prince and princess for their class at homecoming in previous years. 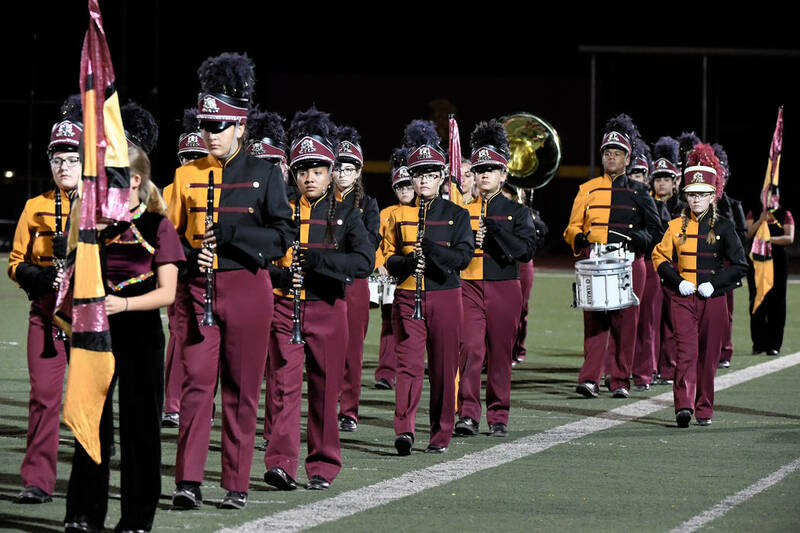 The school’s marching band, cheerleaders and dance team all performed during halftime, and the school held a special homecoming assembly during the day. As for the game, the Trojans sent the large crowd home happy with a convincing 42-14 rout of the Miners for their first win of the season. Casey Flennory added 94 yards for an offense that totaled 365 rushing yards in a game in which the Trojans never trailed.